@ The Heart Of Sydney CBD . Only 5-minute distance from Central Railway Station. 1-minute from World Square. 1-minute from Chinatown. Just Opposite of HSBC & Capitol Square Shopping Centre. Please check the location on Google Map. 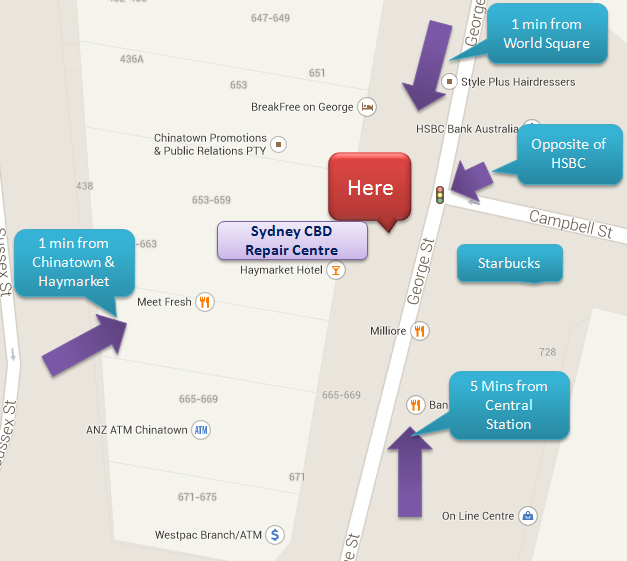 Here’s a map with various landmarks to help you reach us. Please check the location in Google Map.